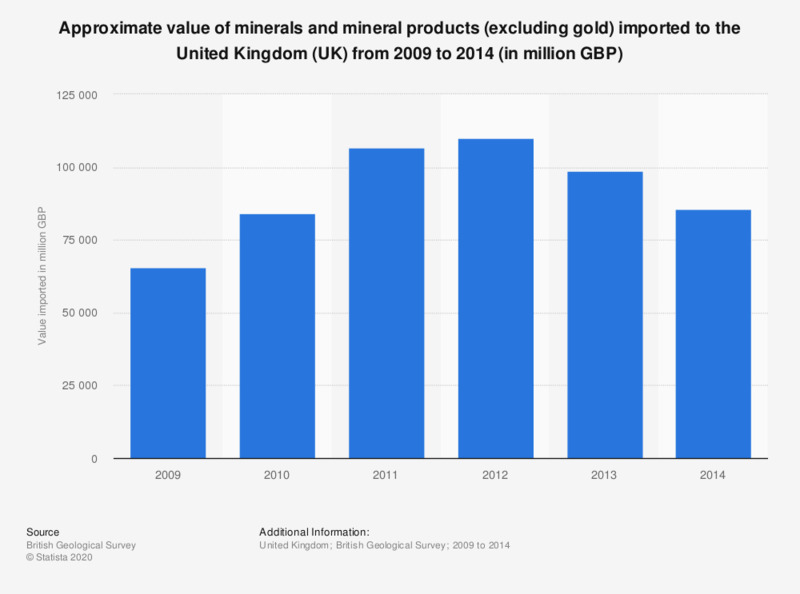 This bar chart depicts the monetary value of minerals and mineral products (excluding gold) imported to the United Kingdom annually between 2009 and 2014, in million British pounds. In 2012, the value of mineral imports to the UK amounted to 110 billion British pounds. Imports are valued c i f.